When a California worker clocks in and starts their day, the last thing they plan for is a slip and fall accident. Most common causes of slip and fall accidents at the workplace with Right Attorney. On behalf of Koszdin, Fields, Sherry & Katz posted in Workplace injuries on Monday, March 06, 2017. When a California worker clocks in and starts their day, the last thing they plan for is a slip and fall accident. While California itself may not be notorious for icy walkways, that doesn’t mean there aren’t plenty of chances for workers to slip and injure themselves. The Occupational Safety and Health Administration, or OSHA, has a list of ways that workers can protect themselves from falling at work. By looking at this, it’s easy to see what the most common causes of slip and fall accidents are. Improper handling or maintenance of equipment at work is one of these top causes. For example, if a walkway easily becomes wet, greasy, or otherwise difficult to walk on, it should be carefully watched and controlled to prevent slips. Likewise, when the use of proper footwear isn’t enforced or taught properly, that can also cause accidents that could otherwise be avoided. Reliable Plant, in the meantime, states that other accidents stem from sudden changes to the workspace, especially if employees are not warned properly. This can include floors being redone, wet paint being left unguarded, or freshly cleaned floors without proper warning signs. Changes to the levelness of the floor, such as adding ramps, stairs, room divider bars, or eve simply having electrical cords stretched out across a walking space, can take workers by surprise and cause them to trip and fall. Accidents sometimes happen, but in some cases, negligence can play a role. 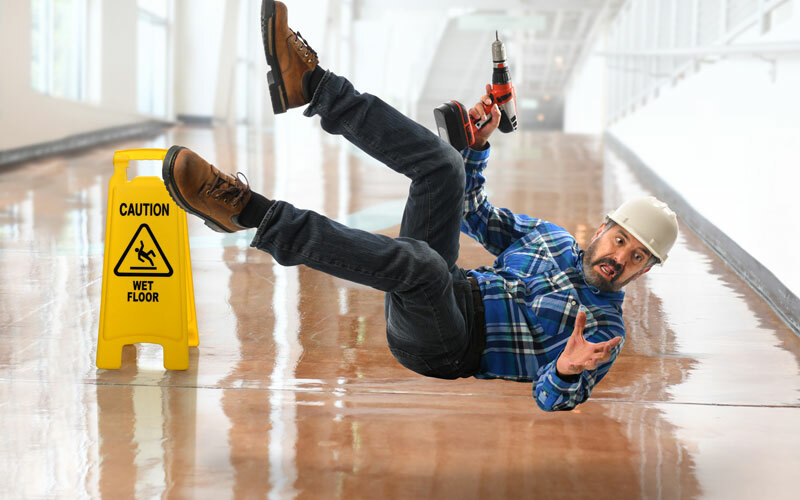 Vigilance and maintenance are therefore two key ways of fighting these many common causes of slip and fall accidents at the workplace.